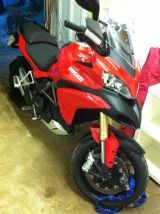 Re: South West ABR to Adventure Day at the Ace 19th Feb. Excellent, look forward to meeting up with you. Little bump for anyone who missed it and wants to join up. May stop at Reading services for coffee etc 1010hrs. Actually thinking about it seeing as I live in Brislington It'll be more sensible for me to meet you guys at Tormarton, see you at 9. FMFox wrote: Actually thinking about it seeing as I live in Brislington It'll be more sensible for me to meet you guys at Tormarton, see you at 9. See you and Bridger there. See you at the cafe a little later mate. 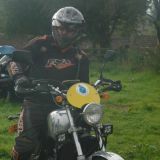 Hi Paul dont worry about stoping at Hungerford my mate John has an eletrical fault with his bike so if I go I will probably see you up there.